International stars of the comedy world, established legends of the British stand-up scene and exciting new voices perform exclusively for your laugh-out-loud pleasure. Bringing together a diverse mix of well-known favourites and cutting-edge newcomers, this series of live shows recorded exclusively for Audible at the 70th anniversary of the Edinburgh Fringe, features performances from Reginald D. Hunter, Mark Watson, Josie Long, Andrew Maxwell and Angela Barnes amongst many others. 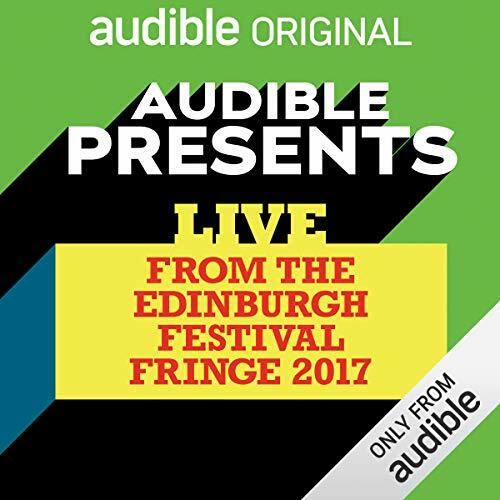 As an Audio Show - free for members - when you add Audible Presents: Live from the Edinburgh Festival Fringe 2017 to your library, you'll get all 12 episodes, each with a runtime of about 20 minutes.